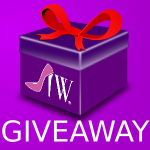 We’ve partnered with 4over4.com to share this awesome information. Most children born in the 21st century are overexposed to technology. They are highly proficient using iPads even before they can speak. A new study by Common Sense Media states that 38 percent of kids under the age of 2 are using tablets or smartphones before they can string a sentence together. Sometimes, it is simply convenient to give children the iPad to keep them distracted. However, a report shared by the New York Times says that babies and toddlers should spend as little time as possible with “screens.” Even Steve Jobs limited the iPad use of his children. So, it’s the time to look for other alternatives! Have you heard that puzzles are good for your child’s cognitive development? Well, children can enhance their fine and gross motor skills by putting puzzles together. I speak from my experience, I am a mom and a teacher and I use printed puzzles as an educational tool. I personalize puzzles to reinforce topics such as family, alphabet, zoo, city and so forth. If this idea sounds great to you, check out these printed puzzles from 4over4.com. These guys offer high quality printing at low -family friendly- prices, certainly less than an iPad or tablet. It seems that today’s kids don’t know where milk comes from. It is important to ntroduce your child to nature. Take your child to a farm and allow them to get dirty and play with mud and water – They won’t forget that day. Let your child experience how fun is to go outside and teach him to appreciate nature. Take pictures and print them on black and white mounted canvas, these can start a collection and serve as inspiration for your child. Make filling up a wall with outdoor memories as task for the whole family. Think of using a quote in wall decals as the center of the piece. I’d say buy a trampoline and place it in your yard. In my case, it was the perfect gift for my 4-year hyperactive son. While he jumps, he relieves tons of energy. Once he is done, he feels relaxed and can perform other activities like coloring books. However, some parents don’t think buying a trampoline is a great idea, because if you do not watch out for your children, they can be seriously harmed – all valid points. Instead, take your kid to a park, an amusement park or just to jump rope out on the street. Look at their happy faces when they are bouncing and having fun. Do you want to raise children that enjoy multiple activities? Look around you. Some children and teenagers would feel devastated if they were unable to use their smart-phones for a day. No kidding! Show your children there are many ways to enjoy their free time other than playing video games or watching TV. Your children will thank you! Here in MA, if we get trampolines in our yard, our homeowners insurance skyrockets because of the dangers. But we do have tons of indoor trampoline parks that the kids can bounce at. Great ideas! There is nothing like getting outdoors! I love that we have access to lots of farms, many belonging to family members! One of my goals this summer is to enjoy the outdoors with my boys as much as possible. We have tablets and we have our kids on a strict time limit with the tablet. We like to go RV’ing.. no WIFI and that forces the kids to use their imaginations. Great ideas! We have an ipad but I don’t have a cord for it, it’s been dead a few months ahha! No one notkces or seems to care. Getting outside to play is on everyones mind right now! These are great ideas! We’ve been thinking about visiting a farm, actually, as a home school field trip. I know the kids would love it. These are great ideas! Kids will have enough time with electronics as they get older — we need to let them get exercise, use their imaginations and just be kids! I think kids are too stuck on technology these days! A trip to the farm sounds lovely! My kids used to love playing on the trampoline. They would bounce on it all the time. I don’t think its so bad that kids have technology, it is the future. There needs to be a balance, but you can’t help what their natural interests are either, some gravitate towards outdoors while others grave electronics, building blocks, etc. Trampolines are a great way for kids to burn off energy! We are the only one in our neighborhood that has one, so all the kids gravitate to our house to play most days. I agree! Get those kids off of the electronics! This is so refreshing as my kids are always on electronics and I can’t stand it. My kids love doing all these things. But for road trips, the iPad is a life saver. 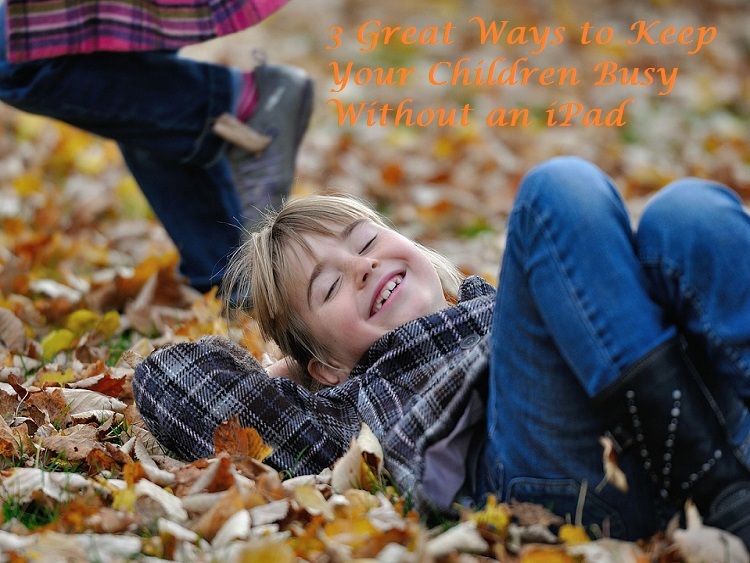 My grandkids love the ipad to keep them busy on road trips, otherwise they love to get outside and run around. These are great ideas. I try to keep my grandchildren busy and off the electronics while they are over here. They love Paper Dolls (the boys too). Great Post! Good ideas and I bet you have even more great ideas to share. Too much electronics is not good for kids. I am a big fan of trampolines! My kids love them and I love getting up there with them! Taking the kids to a local playground is a great way to get them out of the house, most of the time they don’t want to leave and they beg to go back. Our neighbours have a trampoline and it is a hot commodity around here for sure. I love that the kids want to be outside on it. great ideas –thanks for sharing this…. With the day and age we live in obesity is becoming more and more of an issue, getting outdoors as a family is great!